【Patent Solar Lights Much Brighter and Away Illumination Range】- 1400LM 8W(110W Equiv.) LED outdoor solar flood security light with optics-grade PMMA lens makes it much brighter,Strong light up to 40-55 feet. On sunny days only takes about 5-6 hours to fully charge. Low-light lighting on rainy days without sunlight can last for 3 days. 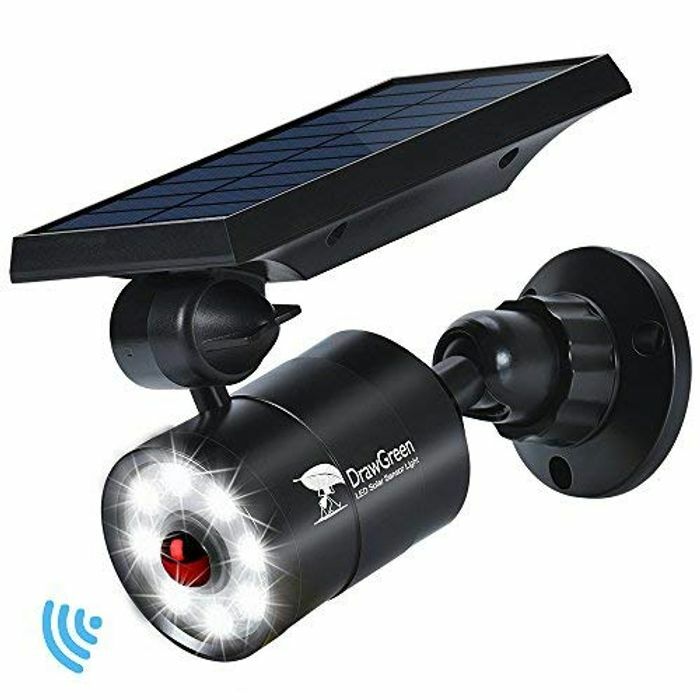 Superior to most solar motion sensor light on the market. £13.92 for me also thanks for sharing with deals. Ordered one for £13.92 for my back garage door entrance. Thanks! This is a really good price, thanks so much for sharing. Always good to have plenty of lighting for security at home. Sooo I bought this and it's amazing I want to get another one I can't remember how I got it to £13 before any help?